Honestly, I'm getting confused as to which title should I use, whether it is 'Age of Feelings', 'Inspiring Age' and now this 'Generation of Youth' >.< Too many versions of the English counterpart, eh? ㅋㅋㅋ Still, it belongs to this one great actor... Kim Hyun Joong! ^^ I'd really like to see how he would protect his sister. ^^ 김현중 화이팅!! Kim Hyun Joong has begun filming for his upcoming KBS drama 'Generation of Youth'! 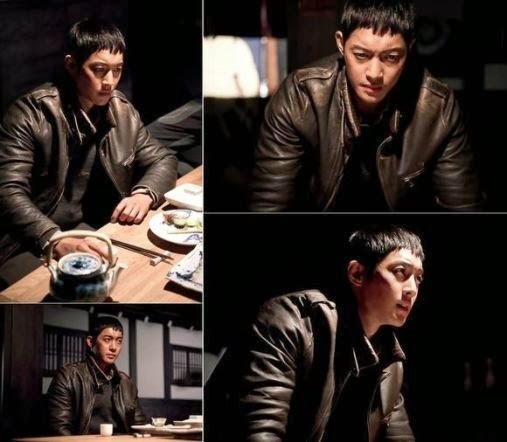 Kim Hyun Joong held his first filming session at a restaurant in Mapo, Seoul last week and his eyes tell fans that he's ready for whatever mission lies ahead as shown in the still cuts. Kim Hyun Joong plays the role of Shin Jung Tae, who is a fighter who would do anything to protect his younger sister. Kim Hyun Joong shared, "I am very joyful to work with a good production and renowned staff. More than anything else, I am focusing on trying to understand my character Shin Jung Tae's past, emotional baggage, and current situation while filming... We are working hard to perfect the important action scenes so please look forward to it." 'Generation of Youth' portrays a romantic noir of young fighters and their story of love and friendship which will premiere following 'Pretty Man' this coming January!